In Today’s world, the use of a Virtual Private Network has become an utmost necessary for people to able to protect their identity and data online. The VPN helps to hide your IP Address by changing it to dynamic/static IP Address and prevent hackers/spies/government agencies/ISP from tracking you down. 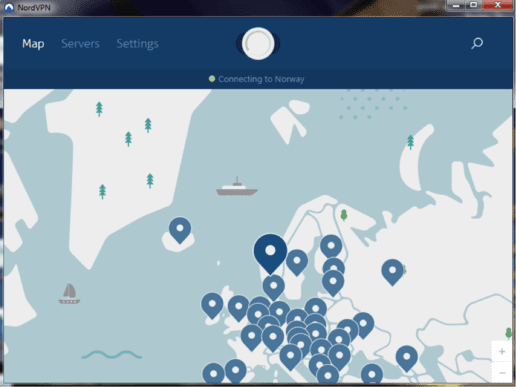 One of the best VPNs you can find today on the internet is the NordVPN. This VPN Provider has been rated as among the top Editors choice in the VPN Category by PCMag.com. You must try this VPN service and you will definitely not move to any other VPN provider after using NordVPN. Available on all major PC platforms such as Linux, Windows and MacOS and also as Android and iPhone app, NordVPN helps to protect the identity of its users from online websites and prevent such websites from tracking them. This VPN provider allows you to select from 56 different countries, consisting of more than 1000 servers between them to hide your online data. Additionally, NordVPN ensures that it has provided specialized servers for the users to utilize. These specialized servers are very helpful for using services such as BitTorrent, P2P(Torrenting) and helping you to connect to the TOR Anonymization network. In addition to changing your IP Address and preventing websites to track you, NordVPN goes a step beyond by providing unique features that most other VPNs do not provide. These features include preventing DDoS activity on your network and blocking unnecessary ads and malware. 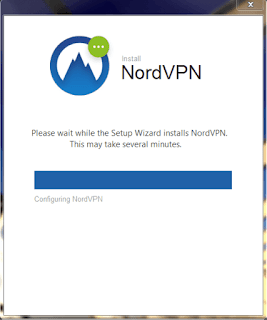 If you have decided to try your hands on NordVPN service then here is a brief guide to setup the NordVPN’s client for Windows desktop easily. Follow the below-mentioned steps and get ready to browse through the internet anonymously. Download Windows desktop compatible NordVPN’s Client on your system. Now, install the VPN client and wait for the installation to finish. This may take a few minutes. Launch the VPN after the installation is completed. Enter your login credentials to begin using this VPN software on your Windows PC. As soon as you enter its interface you will see that you are not connected to any server. 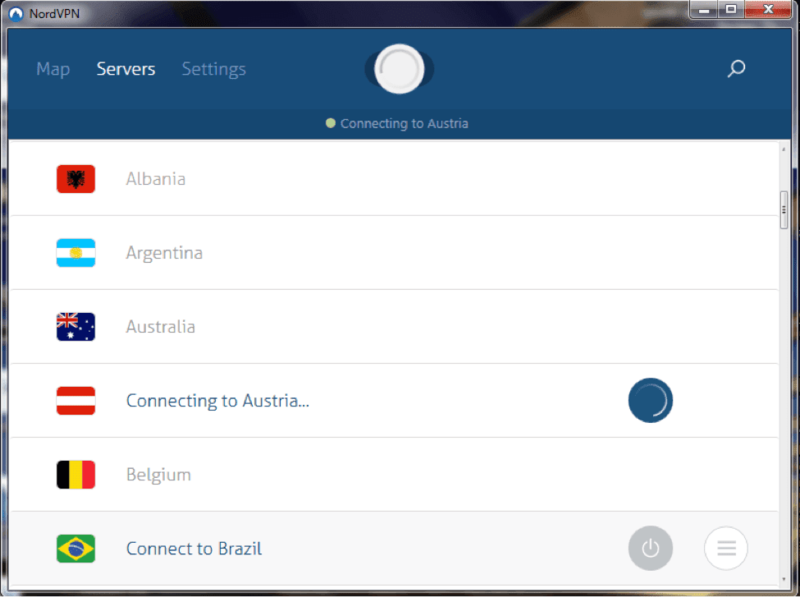 Try connecting to the server by clicking on the country of your choice in the map. You can move to ‘Servers’ option for selecting specific server. Once you are connected, get ready to surf through the web privately without any interference of your ISP/hackers. 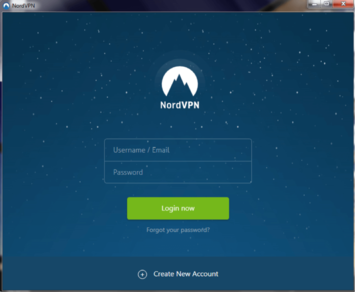 Why should you go with NordVPN? 1. 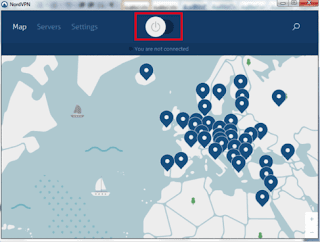 Access to Geo-Restricted Content: The biggest advantage of using NordVPN is that this Network provider helps you to access websites and services which might be turned off at your workplace or altogether banned in your country. You can avoid censorship by connecting to a remote server on this network. 2. A Strick No Logs Policy: NordVPN is very vocal about the fact that they do not track their users on the internet. It has been one of their strict policies from the start to not track the websites or services their user-base choose to visit via their network. 3. No P2P Restrictions: While some VPN providers put a restriction on the transfer of data between two users, NordVPN does not place any such restrictions on their network and allows you to transfer data at very high speed. 4. Automatic Kill Switch Option: The Automatic Kill Switch functionality from NordVPN prevents you from an accidental exposure of your details in case your VPN Connection breaks down. It will automatically switch off software that you have specified in advance. 5. Double VPN: The Double VPN protection ensures that there is no chance that your movements on the internet will be tracked by websites. Your real IP Address would be protected by the first VPN whereas the second VPN will work upon the first VPN address ensuring that your real IP Address stays protected throughout. 6. DNS Leak Test: The in-built DNS Leak Test feature of NordVPN allows you to ensure that all your online activities are routed through a VPN service which ensures your privacy and security at all times. This test helps you to check whether you are connected to your own network or to the NordVPN service. 7. Mobile VPN: In addition to providing VPN Services to desktops and PC platforms, NordVPN also provides iPhone and Android compatible apps for you to install on your smartphones to ensure you can enjoy VPN privacy protection on your devices too. 8. Dedicated IP: NordVPN also provides you with the option to get a dedicated IP Server to yourself. This will ensure that you will have a single IP Address every time you go online while still hiding your real IP Address. Currently, NordVPN is available to buy in 3 different plan sets. Each of these plans contains all the features that are mentioned above in addition to all available NordVPN mobile apps, unlimited bandwidth and a 24*7 available customer support. You can buy NordVPN on a monthly, half-yearly or a yearly subscription. Their packages start from as low as $5.75 per month with a 30-day money-back guarantee clause if you are unhappy with the product. A Virtual Private Network service is gaining popularity through recent years because of the demand of people to protect their online data and privacy. VPNs ensure that your identity is well-hidden online and websites will find it hard to track your real location. If you are looking for a VPN service provider to ensure your privacy, then you would not have to look any further than NordVPN as it manages to provides almost all the features you might need from a VPN provider including Dedicated IP, high speed transfer of data, unlimited bandwidth, Stable network connections while allowing you access to multiple different servers across the internet.